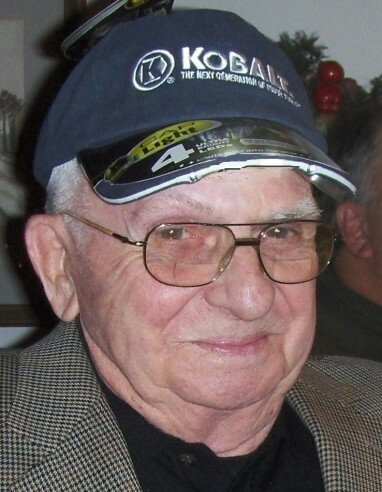 Obituary for James R. Metz Jr. | James C. Stump Funeral Home Inc.
James R. Metz Jr., 91, of Rostraver Township died Sunday, July 8, 2018. Born in Victory Hill on January 5, 1927, he was the son of the late James R. Metz Sr. and Marian (Little) Metz. Jim started his work-life as a bricklayer in the Donora Zinc Works until it closed and spent his life in the construction trades and also was an owner of Metz Bros. Trucking. He was a gifted carpenter, designer, mechanic and builder and could create masterpieces from wood, metal and stone. His work lives on everywhere in the structures he built or bricked, the countless fireplaces, and the amazing gifts he created for his family, right up until the last year of his life. He loved reading, traveling, history and discussing politics and visited 48 of the 50 United States throughout his lifetime. He served in the U.S. Army during World War II in the Allied Occupation of Austria. He is survived by his wife, Cecelia; son, Thomas (Sumie) Metz of Rantoul, IL; daughter, Debra Keefer of Rostraver Twp. ; grandchildren, Ben Keefer, James Metz and Ellen (Larry) Brasher; great grandchildren, Thaison, Autumn, Avriel and Julian; great-great granddaughter, Rowan; brother, Fred (Shirley) Metz of Fellsburg; stepchildren, Patty (Mike) Sheppard, Paula (Mike) Polk, Nancy (Rob) Glass and Buddy (Laurie) Farkosh; step grandchildren, Janet, Jennifer, Natalie, Danielle, Andy, Stacey, Bryon and Michelle; step great-grandchildren, Domenick, Chase, Shaun, Hannah, Gianna, Michaela and Jackson. In addition to his parents, Jim was preceded in death by his first wife, Ellen M. Metz to whom he was married for 55 years; brother, Clyde Metz; and son-in-law, Robert Keefer Jr.
Friends will be received on Tuesday from 2 to 4 and 6 to 8 p.m. in the James C. Stump Funeral Home Inc., 580 Circle Drive, Rostraver Township (724-929-7934) www.jamesstumpfuneralhome.com where a Funeral Service will be held on Wednesday at 10 a.m. Interment, with Military Honors, will follow in Monongahela Cemetery.